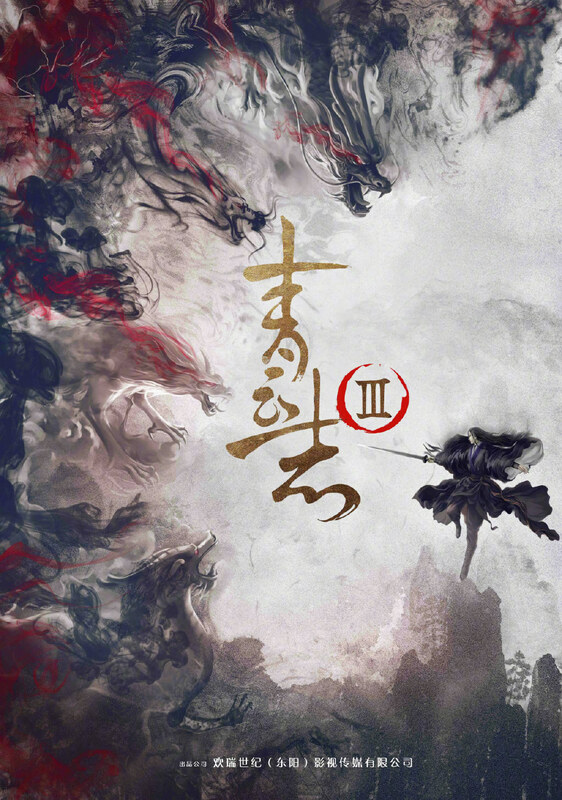 Legend of Chusen Season 3 青云志 has unveiled its first poster featuring an abstract concept of a black-clad hero wielding a sword against a sea of monsters. 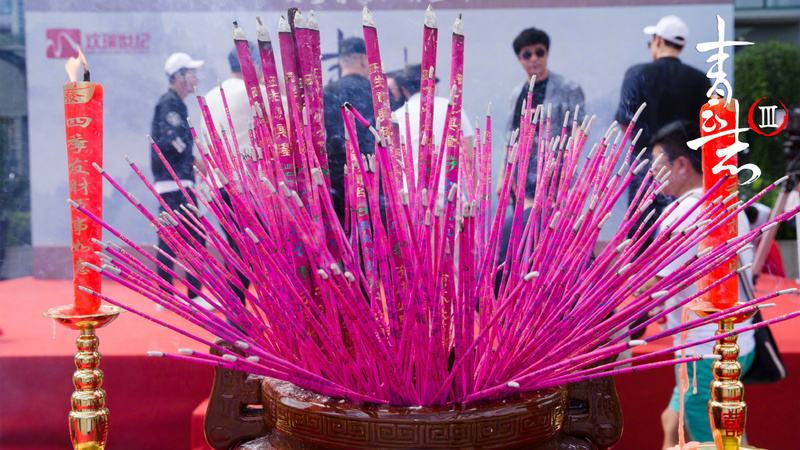 It hints at the the eternal fight between good and evil and presumably the continuation of the mission to revive Bi Yao. H&R Century Pictures has been hush hush on the details as only supporting characters like He Zhong Hua, Zong Feng Yan and Xie Ning, all of whom played the teachers of Qing Yun, attended the opening ceremony. I really hope that the eventual reveal is going to be worth the wait because I would be extremely disappointed if none of the major characters return. Sadly, chances seem low as rumors are pointing to Han Dong (Lost Love in Times), Li Man (The Destiny of the White Snake) and Yao Xing Tong (Peace in Palace, Peace in Chang An) as the new Gui Li, Bi Yao and Lu Xue Qi. Meanwhile, I'm just here hoping for Li Yi Feng (Guilty of Mind), Zhao Li Ying (Princess Agents) and Yang Zi (Legend of Dragon Pearl). Li Yifeng is still filming Animal World, it should come to an end soon though, but he might start another movie. I'm hoping for them to return too, but it's highly impossible now. Can somebody tell me if jumping back in time is a normal habit ? Do the producer miss something ? Perhaps smartphones, computer, nightlife ? 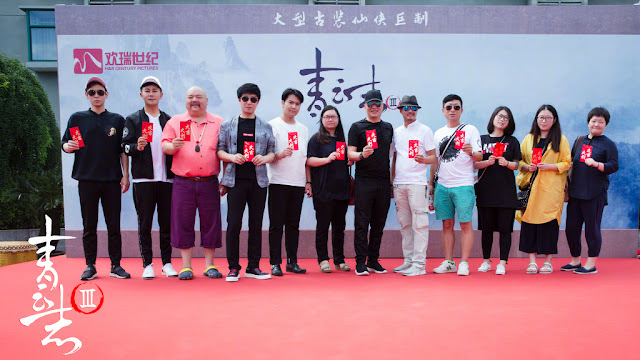 Ice Fantasy 1 season, super- sequel flop. Journey of Flower, the same. Now Legend of Chusen. What is Biyao doing in modern times ? Is it so difficult to keep the timeline (+/- 20-30 years) ? 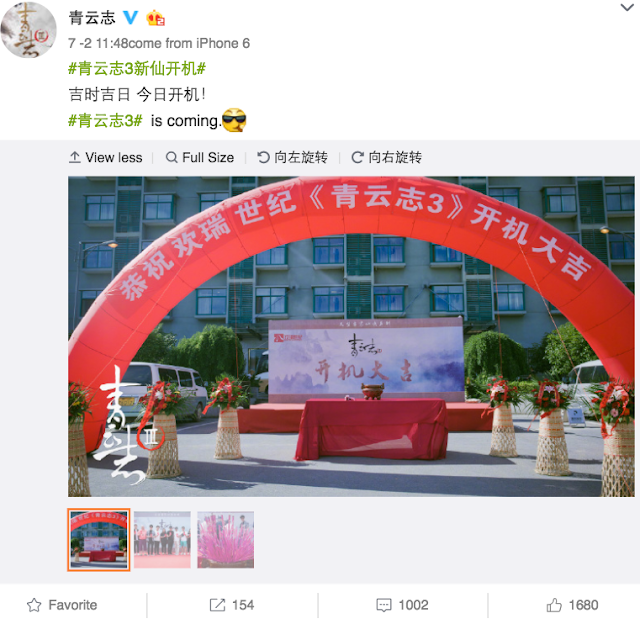 So if Princess Agents has a second season, we see Chu Qiao in modern times on the catwalk, making advertisement for milk shakes and calling Yuwen Yue with the new smartphone ( but only if he went also back in time).This is so ridiculous or it's made on purpose to destroy the story. and the success. A private company could never allow themselves something like that. Season have been release or what? Just finish the story.. i want to see the ending how will the author will end it. Mais Es ce que la saison 3 et un film qui clôture la fin du Drama ou une saison avec des épisodes comme la saison 1 et 2 ? Honestly, what is with these Chinese dramas? Every Chinese drama I have watched always seems to have a change of cast for the next season, here I was thinking that this one was different. What is up with them, why can't they get the actors to sign a contract stipulating that if they do a second and third season then they have to be in it . Why not learn from Hollywood?